Transforming lives through Jesus Christ for the glory of God. Nursery is available for children ages birth to 3 years during our 9:00 AM and 10:45 AM services. Our nursery is staffed by at least two risk-approved adults at all times. Welcome to the Awana program at MapleRidge Church! We hope you’ll join us! Awana makes it FUN to hide God’s Word in our hearts! Awana is a world-wide nonprofit ministry focused on providing Bible-based evangelism and discipleship solutions for ages 2-18. As the global leader in child and youth discipleship, Awana gives children the opportunity to know, love and serve Jesus, no matter their background. 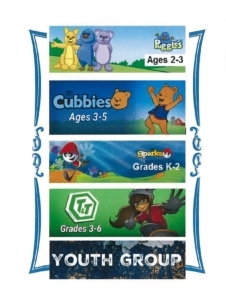 Registration for Awana is ongoing throughout the school year, so feel free to jump in anytime!